There is another benefit to carbon dioxide enrichment that needs to be discussed. It relates to the effects of ozone pollution on plants. Ozone (O3) is a molecule composed of three oxygen atoms that normally makes up only about 0.6 parts-per-million (ppm) of the atmosphere. 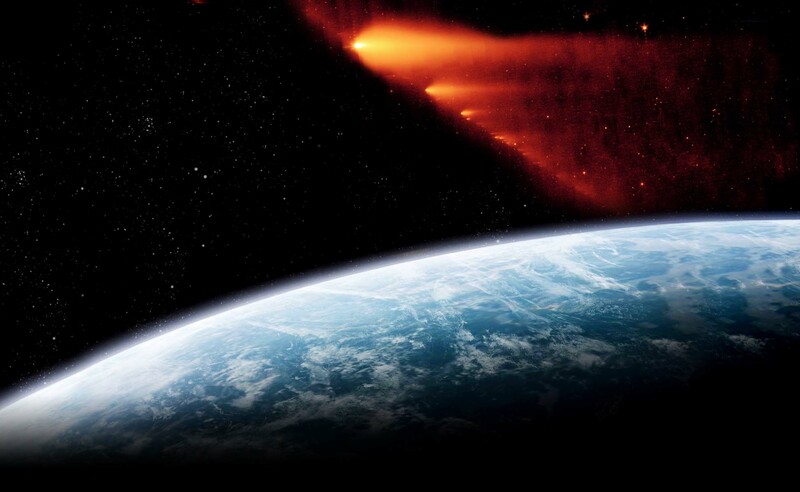 The greatest concentrations of ozone are found in the stratosphere between 6 and 30 miles above the Earth’s surface. Stratospheric concentrations of ozone range between 2 and 8 parts-per-million – about 10 to 50 times greater than at the bottom of the atmosphere. At this height above the Earth’s surface, ozone provides the crucially important service of intercepting ultraviolet rays which are very damaging to living things. However, at low atmospheric levels near the Earth’s surface, ozone can become highly phytotoxic. Ozone can interfere with photosynthesis and a considerable amount of evidence demonstrates reduced crop yields when exposed to ozone pollution. Figure 6. Ozone damage on leaves of American linden or basswood tree (tilia). Figure 7. Muskmelon leaves showing damage from ozone pollution. Due to the known damaging effect of ozone on plants, and knowing that atmospheric levels of CO2 were rising, and would probably continue to rise, and, that many of the same industrial practices that added to the growing carbon pool also contributed ozone to the atmosphere, a number of scientists have looked at the interactive effects of carbon dioxide enrichment and high levels of ozone. In one important, statistically rigorous study, the researchers sought to determine the interactive effect on plants in an environment of both elevated carbon dioxide and elevated ozone. [see: Volin, John C, Peter B. Reich & Thomas J Givnish (1998) Elevated carbon dioxide ameliorates the effects of ozone on photosynthesis and growth: species respond similarly regardless of photosynthetic pathway or plant functional group: New Phytology, Vol. 138, pp. 315 – 325]. To better understand this situation, the authors selected 6 perennial species consisting of two types of trees – quaking aspens and red oaks; two species of grass from the C3 group – western wheatgrass and prairie Junegrass; and two species from the C4 group – “sideoats grama” and little bluestem. (The number in subscript refers to the type of photosynthetic pathway.) C3 plants were discussed above. C4 plants have a different method of extracting carbon from the carbon dioxide molecule than C3 plants and are adapted generally to more arid environments. The idea in this study was to get a relatively diverse cross-section of plants. To perform the experiment, conducted at the University of Wisconsin, 64 seedlings of each species were planted in two controlled environment growth rooms with each room divided into four individual chambers for the purpose of testing the different treatment regimes. In conclusion they state: “An elevated CO2 environment seems to ameliorate the adverse effects of elevated O3 on both photosynthesis and growth, regardless of photosynthetic pathway or plant functional group.” And finally, “The amelioration of O3 by CO2 concentrations forecasted for the next century may have important consequences for both individual and interactive species responses.” Yes – important consequences indeed, potentially positive consequences – that again, are ignored or dismissed by proponents of AGW (anthropogenic global warming) without further consideration. Here we have evidence that the presence of elevated levels of carbon dioxide counteracts the detrimental effects of elevated ozone. We can add that benefit of carbon dioxide to the list. Given what we now know about the power of carbon dioxide to stimulate plant growth, it is time to address the question of what is happening on the global scale of terrestrial nature as a result of the enhancement of atmospheric carbon dioxide that is underway. To that end there is a considerable body of empirical evidence now available. The two tree species studied for this research were specifically bristlecone pines that grew near the tree line at altitudes typically around 10 or 11 thousand feet above sea level. Earlier studies by LaMarche and others discovered that tree ring thickness, and hence tree growth rates, began accelerating after about 1840, coincident with the transition out of the Little Ice Age. It was assumed that this was due to the warming climate. However, later studies up to the 1980s showed continued accelerated growth rates in spite of the fact that climate began to cool during this period and continued to do so through the 1960s and 1970s. 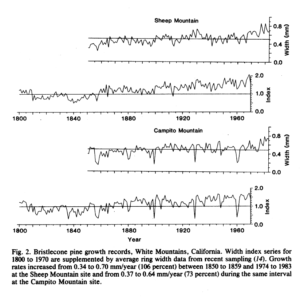 The next two graphs depict this accelerated growth rate in high altitude bristlecone pines as documented by LaMarche, et al. Figure 9. These are the growth records for bristle cone pines sampled from the White Mountains, California. They are typical of all samples gathered and studied by this team. Growth rates at the Sheep Mountain site increased by 106 percent between 1850 and 1983 and at the Campito Mountain site they increased by 73 percent during the same time interval. LaMarche et al. p. 1020. “Larger scales” in this case could be regional, continental, or even global. Jarvis comments on an important phenomenon: it is well known that there is a seasonal amplitude variation caused by the increased photosynthetic uptake of CO2 in the spring, causing atmospheric concentrations to go down and to rise during the winter when plants and leaves die-off. This oscillation is clearly shown in the Keeling Curve from Mauna Loa Observatory data, upon which average global concentrations are inferred. Jarvis’s comment is in reference to the fact that the amplitude of this oscillation has increased: “Inferences from the increase in amplitude of the seasonal oscillation in the global atmospheric CO2 concentration at different latitudes suggest that forest is having a significant impact on the global atmospheric concentration.” The amplitude of the seasonal oscillation is going to be a direct function of total biomass. In other words, if the amplitude increases it is because there is an increase in the amount of plants and forests taking up and releasing CO2. Yes, you read that right. For the half-century prior to the publication of this paper in 1989, the global temperature had been cooling from its 20th century high during the 1930s. This fact alone casts doubt upon scenarios in which carbon dioxide is the principal driver of global warming, for exactly at the time humankind began to substantially add to the atmospheric carbon dioxide pool, global temperatures began to cool! Clearly there were other factors at work − the “various superimposed climate cycles” to which Jarvis refers − whatever those might be. In the late 1980s and early 1990s the global temperature began to rise, but with the onset of the 21st century the rise has been in a state of pause and global warming proponents have been attempting mightily to explain away the pause. The noteworthy lesson to be appreciated once more, is simply that as plants consume carbon dioxide in the process of photosynthesis, it is simultaneously being sequestered by becoming a part of the increasing plant matter and is therefore removed from the atmosphere. The area of Europe is about 3.931 million square miles. Twice this amount is 7.862 million sq. miles. The total land area of the Earth is about 57.308 sq. miles. So if an additional land area equal to about 1/15th the land area of Earth became forested, that forest would consume all of the carbon dioxide we humans are putting into it from the consumption of fossil fuels! Consider that the total desert area of the Earth is about 19 million square miles and that the total area of land abandonment and degradation according to the estimates of the Global Assessment of Soil Degradation (GLASOD) commissioned by the United Nations Environment Program, is somewhere around 8 million square miles. Together the deserts of the world and the degraded land equal about 27 million square miles. If just a little over one-quarter of this land area were to revert to forest it would, again, yearly consume all the carbon dioxide we humans put into the atmosphere. Obviously this affect could not go on forever. However, what it does mean is that as the density of Earth’s biomass increases, and as larger areas of Earth’s surface become green, the biospheric demand for carbon dioxide will increase as well. Jarvis estimates that it would take at least 80 years before such new, additional forest mass would cease to assimilate carbon. The key here would be well-managed forests, with regular harvesting and replacement planting of new trees, as well as full utilization of the timber in such a manner that oxidation is minimized. What these observations tell us is this: if the biomass of the Earth is, in fact, increasing due to stimulated photosynthesis and carbon uptake, we have at least a century to make the conversion to carbon neutral energy technologies. After discussing the dramatic results obtained from his orange tree experiments, Idso turns to the question of the effect on other trees comprising the total mix of Earth’s forests. To address that question he invokes the phenomenon of the fluctuating annual cycle of atmospheric CO2. Based upon studies by Piers Sellers and James J. McCarthy in Planet Earth: Part III – Biosphere Interactions, Idso points out that land vegetation accounts for about 90% of the amplitude of the annual carbon dioxide cycle. [see: Sellers, Piers, and James J. McCarthy (1990) Planet Earth: Part III: Biosphere interactions. Eos, Transactions American Geophysical Union, vol. 71, no. 52 (Dec. 25) 1883-1884] As a percentage of the total planetary vegetation, trees account for about 75% of the land biospheric carbon exchange occurring in the process of photosynthesis. Therefore forests account for about 75% of 90% of the total global forest carbon uptake, or about two-thirds. 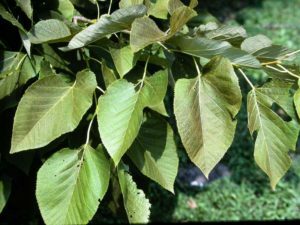 The rest of Earth’s vegetation in the form of the non-woody plants account for about the remaining one-third of the response. Here we note something of great significance: Empirical studies in a microscale environment are consistent with the theoretical computations for the macro-scale global environment, implying that an increase of 180% in the mean productivity of the world’s forests is not far-fetched at all. What does this imply with respect to climate change? Simply this: Projections of future rise in carbon dioxide content would be limited as a result of accelerated consumption by increased global biomass. So we see that by 1991, Sherwood Idso is realizing that a small increase in atmospheric CO2 concentrations is beginning to stimulate a response from the biosphere and this stimulation could trigger a powerful negative feedback mechanism as far as greenhouse warming is concerned. We must now ask: What evidence has accrued of an increase of terrestrial biomass, in other words a greening of the Earth, in the interim since Idso published his work? In an article published in the journal Nature in April of 1997, there appeared evidence portending things to come. The article was entitled: “Increased plant growth in the northern high latitudes from 1981 to 1991.” The lead author was Professor Ranga B. Myneni, with the Department of Earth and Environment at Boston University. Among the other four authors was the late Charles David Keeling (1928 – 2005), then with the Scripps Institute of Oceanography. Keeling is well-known in climate circles as the lead scientist responsible for establishing the carbon dioxide recording system at Mauna Loa Observatory that has documented the increase in atmospheric concentrations of CO2. The other authors included C. J. Tucker with NASA Goddard Space Flight Center; G. Asrar with the Office of Mission to Planet Earth, NASA; and R. R. Nemani with the School of Forestry, University of Montana. In the same issue of Nature, an article introductory to the paper by Myneni et al., authored by Inez Fung with NASA Goddard Institute for Space Studies, puts their work into perspective. 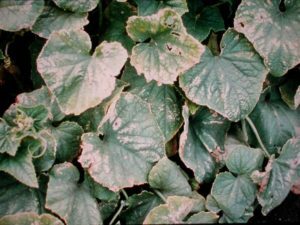 So here it is: By 1997 it had become apparent that because of the increased warmth since the late 19th century, coupled with increasing carbon dioxide amounts, the growing season had lengthened, as had the degree of photosynthetic activity of the biosphere. This was manifesting as amplified vegetation biomass, hence the phrase “a greener north” in the article’s title. The challenge to ecologists – to explain how photosynthesis could increase by 10% in a decade – is indeed provocative and implies the obligation to acknowledge a positive consequence to the increase in atmospheric carbon dioxide that is taking place, in contradistinction to the politically contrived view that seeks to demonize carbon dioxide as a pollutant. With this attitude regarding carbon dioxide now dominating the public discussion, an admission by workers in environmental and ecological fields of a positive effect would become a major liability, especially those seeking grant money from politically controlled or influenced sources. The work of Myneni et al. examined forest response between the latitudes of 45 to 70 degrees north. What about tropical regions? The two things these authors emphasize should be kept in mind before continuing: the immensity of the natural carbon cycle relative to the contributions of humans, and the fact that this immense natural phenomenon, which, in the authors’ words “is still poorly understood” is central to the question of climatic consequences. If the authors are right, that the immense natural carbon cycle is “still poorly understood,” how is it possible to be so absolutely certain of outcomes that we can declare the debate over and the science settled with respect to the matter of climate change? In the context of the notable findings of Jon Lloyd, Mahli and Grace proceed to discuss the implications for the tropics: “Because of their intrinsic high productivity, tropical forests are a prime candidate for such a C fertilization response, the crucial question has been to what extent such a response might be limited by nutrient availability, in particular by low nitrogen or low phosphorus.” However, as they point out, studies referenced by Lloyd have shown that plants might “increase their nutrient acquisition process by investing in mycorrhizal colonization, and by mineralizing nutrient reserves in the soil by the production of surface enzyme systems and organic acid exudates.” In other words, it is entirely possible, if not likely, that plants in a carbon dioxide enriched environment will develop the means to more effectively utilize available nutrient supplies. Mycorrhiza are actually two different entities, a plant and a fungus, existing in a symbiotic or mutually beneficial relationship. Various kinds of fungus associate themselves with a particular plant through the root system. It has been found that the mycelium of the fungus can perform a number of functions beneficial to the plant, for example, accessing sources of phosphorous unavailable to the plant alone. It has been found that plants in association with mycorrhizal fungus are more resistant to diseases and the effects of drought. Mycorrhizal fungi are important in the colonization of barren or desolate landscapes that have been devastated by catastrophic floods, fires, or volcanic eruptions, and provide greater protection for plants growing in soils with high metal or acid concentrations. Mahli and Grace call attention to one of the important variables in the response of plants to rising CO2: If plants become more efficient in the process of nutrient uptake, it mitigates one of the limiting factors of plant response to increased carbon dioxide concentrations. In many of the hundreds of studies conducted on plant response to increased carbon dioxide, nutrient availability, along with availability of light, was most frequently the limiting factor in the plants’ exploitation of carbon dioxide conferred advantages. If this turns out to be true, that plants gain improved means of accessing nutrients in the soil, thereby increasing their bulk mass available for carbon uptake, then, as Mahli and Grace point out: “A small steady increase in forest productivity can produce a large net C sink.” In other words, the increase in biomass increases the ability of the forest to consume more carbon dioxide from the atmosphere transforming it into greater plant mass. The increased growth and plant mass, the forest in turn consumes even more carbon dioxide in a positive feedback loop, removing it from the atmosphere in the process. Once again, we have the problem of the disappearing carbon. Let’s return to the question of carbon dioxide sources and sinks with which we began this essay. 4.5 Gt per year would amount to almost two-thirds of all the CO2 emitted annually through fossil fuel combustion. Is it possible that tropical forests are consuming this much carbon dioxide? Over the whole area of tropical forests, this translates into a total forest sink of some 2.0 gigatons of carbon per year of which at least half is in South America. So, according to these studies, tropical forests are taking up at about one-third of the amount of the carbon being released through fossil fuel consumption and they are responding with increased growth and biomass accumulation. This does not include the mid-latitude forests that are consuming a substantial amount of CO2 as well. In other words, Nature, with the help of Man, is initiating a rapid regeneration of tropical forests by exploiting the additional available carbon dioxide. Both model simulations yielded more remarkable results. It was found that North America’s contribution to the annual uptake of carbon dioxide was about 1.7 billion tons. Given that the estimate of the annual North American emissions of CO2 by both the United States and Canada is about 1.6 billion tons, the implication is that North American vegetation is consuming each year more carbon dioxide than is being released through the burning of fossil fuel in North America! Obviously, these results have enormous implications relative to the whole global warming debate. And, just as obviously, “greenhouse warming experts” are not as omniscient as the mainstream press and varied promoters of propaganda would have us believe. It is time to recognize that the IPCC is NOT infallible, that the so-called “consensus” is a complete fiction, and, that an effort to impose a global regulatory scheme based upon uncertain science would be a certain blunder. So what other factors might remain to explain this greening of what has been desert through most of historical times? As evidence continues to mount the answer to that question has become undeniable. The CO2 fertilization effect certainly does warrant consideration as an important land surface process – one that is clearly a net positive within the global terrestrial ecology. However, the reality is that among global warming promoters the subject of positive consequences is taboo – to even bring it up invites derision and condescension and charges of being a fossil fuel industry lackey. But such an attitude is, in reality, symptomatic of a combination of ignorance and arrogance, and an unwillingness to think outside the confines of one’s ideology. Absolutely we need more research, but it is also the case, based upon what we now know, that negative consequences of some of those secondary effects will be mitigated under a carbon dioxide enhanced atmosphere. For example, greater root mass means that the plant can reach deeper for water and nutrients; that it can consolidate and retain the soil against erosion more effectively; that it can survive the effects of fires more effectively, and would be less likely to uproot during an intense storm. A 2016 study on carbon exchange fluxes in the Sahel region concluded that: “A budget for the entire Sahel indicated a strong C sink mitigating the global anthropogenic C emissions.” [see: Tagesson, Torbern, et al. (2016) Spatiotemporal variability in carbon exchange fluxes across the Sahel: Agricultural and Forest Meteorology, vol. 226-227 (Oct.) pp. 108-118] It should be noted that the idea that the biosphere is acting as an important carbon dioxide sink, thereby reducing the amount in the atmosphere substantially over the long term, has generally been excluded from IPCC computerized projections of the future. But, here again, the evidence is mounting that as the density of the Earth’s vegetation increases so will the ongoing need for greater amounts of CO2 to stimulate photosynthesis, resulting in a positive feedback cycle. This study of forest plots that have been carefully surveyed and monitored for a period in excess of 140 years, revealed that the rate of forest growth itself has accelerated strikingly since 1960. Could this result be extrapolated to the global scale? Certainly the reoccurrences of drought and famine over the decades, especially in sub-Saharan Africa, have repeatedly underscored the importance of improved understanding as an international imperative. Pause for a minute and ponder what this research is saying. After years of a presumptive expansion of Earth’s deserts it is beginning to dawn upon researchers that something has changed – deserts are now contracting! In various public forums and podcasts I have pointed out that the Earth’s deserts are actually contracting. In response to presenting this information various “critics” have typically said something to the effect that everybody “knows” that deserts are expanding around the world, and therefore I don’t know what I am talking about, and since I don’t know what I am talking about regarding that one thing, anything else I might have to say can be dismissed or ignored as well! As I am criticized by various individuals who find the information I bring to the table unpalatable because it goes against their assumptions and unexamined beliefs, it is persistently apparent that most of them are simply regurgitating something they have heard, or read in popular accounts and assume, therefore, that they have enough knowledge to express an opinion on the matter. The degree of ignorance, the amount of misinformation and lack of critical thinking skills manifest in many of the remarks directed towards me in some of these public forums is symptomatic, I believe, of the sorry state of modern liberal education in America today. But that is a discussion for another place. Let’s consider what this statement is saying. The alteration of the productive capacity of terrestrial vegetation is a positive alteration, meaning that it is leading to MORE productive capacity for Earth’s vegetation, and this, as they readily admit, is happening as the result of anthropogenic influences. In other words, by consuming fossil fuel and releasing carbon dioxide into the atmosphere, we humans are increasing the productive capacity of Earth’s vegetation.